Lock in a great price for Hotel Sa Roqueta Can Picafort – rated 8.9 by recent guests! Excellent family hotel. Don't be put off by the 2 star rating only because no lift to the max 3 floors. 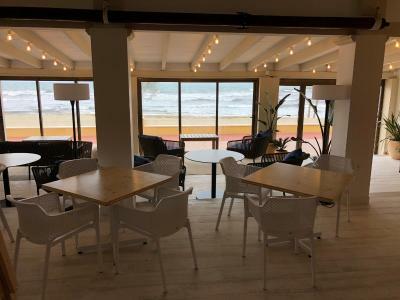 Better than any 5 star on the Island. .
Seaside location, very friendly and helpful owners, very quiet room, comfortable beds, breakfast was not on site as restaurant was being renovated but breakfast bar nearby was excellent. It's a family-run hotel with all the benefits of such - personable attitude of staff, who really care about your wellbeing. The don't run the reception beyond 8pm, so they left our room key in a safe, they smile at you genuinely, and not because their boss told them to. The very large comfortable bed puts me to sleep very well. The balcony with an ocean view lets you breath in the ocean air as you get up in the morning. Great hotel to stay at Can Picafort. 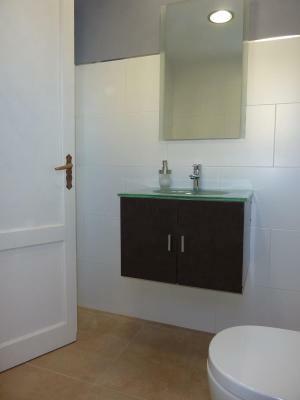 Polite hosts, clean rooms, close to the seaside. They have a really great restaurant try dinner there! The very large comfortable bed. 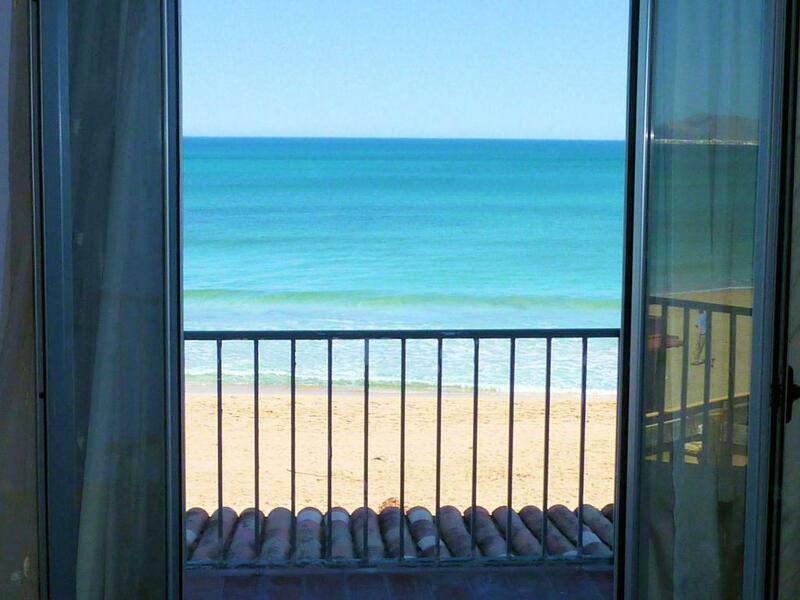 View of the sea and beach from balcony. 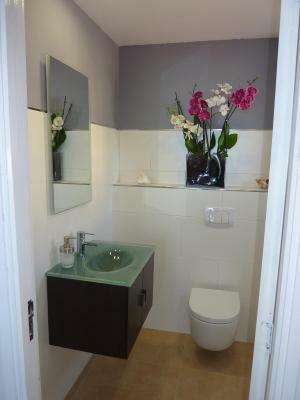 Bright simplistic decor with plenty of thick white towels in bathroom. Constant hot water, very good shower. Efficient and quiet air conditioning system. Everything. Great location, stunning view, grandious room, nice staff! 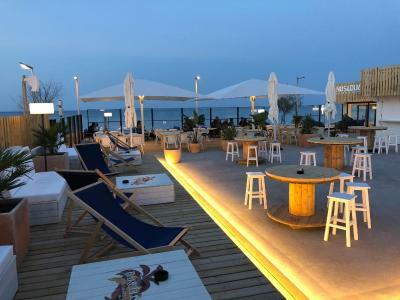 Hotel Sa Roqueta Can Picafort This rating is a reflection of how the property compares to the industry standard when it comes to price, facilities and services available. It's based on a self-evaluation by the property. Use this rating to help choose your stay! 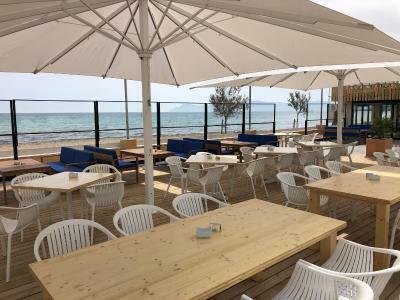 One of our top picks in Can Picafort.Set in the first line location on Ca’n Picafort Beach, Hotel Sa Roqueta offers air-conditioned rooms with balcony. Free Wi-Fi and free luggage storage are provided and some rooms have sea views. 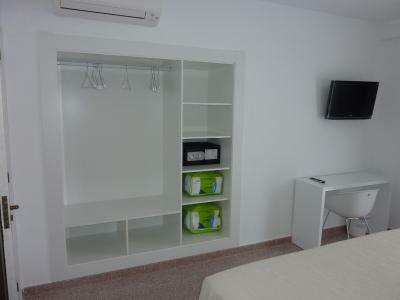 Simply decorated, each room features a flat-screen satellite TV, wardrobe and desk. They all come with a private bathroom with shower and free toiletries. Bed linen and towels are provided and a safe is available at an extra cost. 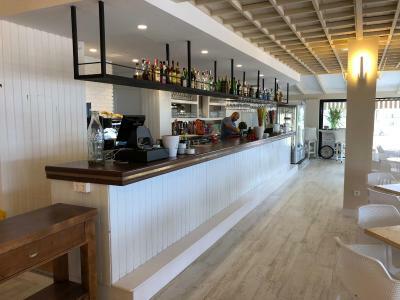 The restaurant and the bars inside the property serve traditional Mallorcan dishes and a welcome pack, including traditional food or drink is provided upon arrival. 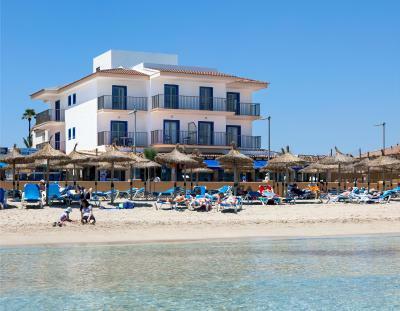 Set in the north-east of Mallorca, on Alcudía Bay, Hotel Sa Roqueta is 10 minutes’ drive from the small village of Santa Margalida. Busses to Palma leave from a bus stop located 350 feet away and you can drive to Palma de Mallorca Airport in 50 minutes. Bike and car rentals are available at the reception. 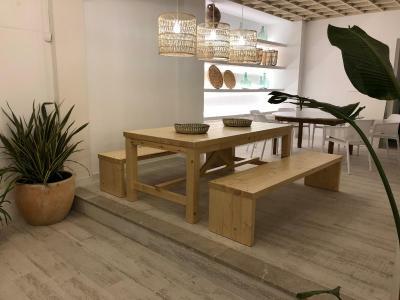 뀐 Located in the top-rated area in Can Picafort, this property has an excellent location score of 9.6! Featuring full sea views, these air-conditioned rooms boast a balcony with sea views. 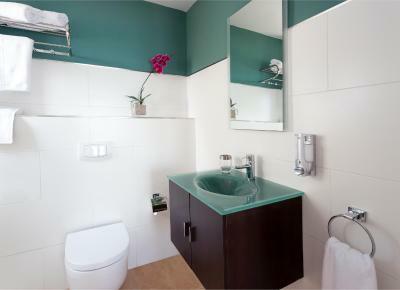 Rooms feature a flat-screen satellite TV, a fitted wardrobe and a private bathroom with shower and free toiletries. Also included is a free drink at the bar. 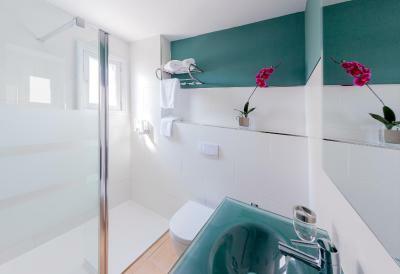 Featuring a balcony, this room features a flat-screen satellite TV, a fitted wardrobe and a private bathroom with shower and free toiletries. These air-conditioned rooms boast a balcony with side sea views. 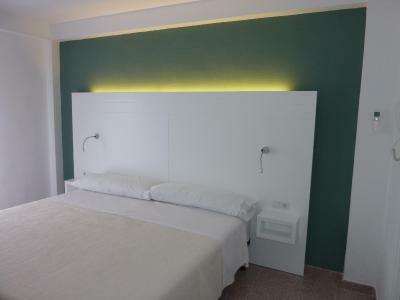 Rooms feature a flat-screen satellite TV, a fitted wardrobe and a private bathroom with shower and free toiletries. Also included is a free drink at the bar or a welcome pack including local produce. 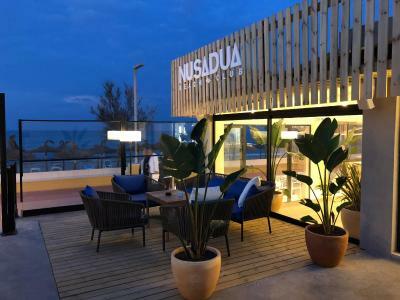 House Rules Hotel Sa Roqueta Can Picafort takes special requests – add in the next step! Hotel Sa Roqueta Can Picafort accepts these cards and reserves the right to temporarily hold an amount prior to arrival. Dreadful beds. Lighting bad. One light over bed would not switch off so we had to endure it being on all night, so hardly slept. Bolshy waitress at breakfast, had to help ourselves. Fruit in fruit bowl had gone off. Terrible directions to hotel - v difficult to find. The worst stay anywhere for a very long time. The reception girl was nice. Breakfast could be better. It seems the hotel outsources breakfast service to the restaurant that operates on the grounds, but same sandwiches every morning with no scrambled eggs in sights gets old fairly quickly. I would not mind paying 10,- EUR per night more just to have more variety. Maybe a pre-order system would be a good solution. Bedroom rather small. Could do with more hangers and space for clothes. Bathroom rather small. Felt cramped. Simple breakfast but good enough for a summer holiday! Breakfast was a little limited in choice. Great location. Very clean throughout. Having a fridge, balcony & comfortable bed was very appreciated. 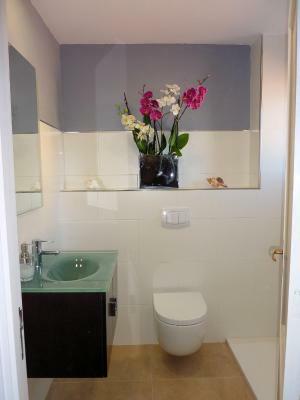 Perfect room but maybe a little bathroom, door touching toilet. But great at all. Room on the back. Perfect location, friendly and helpful staff. We arrived late at night and reception gave us full details how to enter hotel out of hours. Everything ran so smoothly. Highly recommend this hotel. 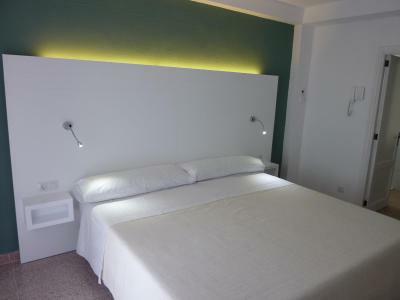 Perfect and comfortable big big big double bed with a stunning beach view balcony. This hotel is amazing. I've stayed there with my husband (last week of July 2018). We prefer familiar hotels more than huge hotel chains. Usually the daughter of the owner was there at the reception, and if not we had the facility to call her. She is superkind and could answer all our questions (tips where to go, condition of the roads etc.) We could park with the car on the street in front of the Hotel. It was quiete safe and fortunately we could always find a place close to the Hotel. Our room was on the first floor with seeview. It was really amazing! 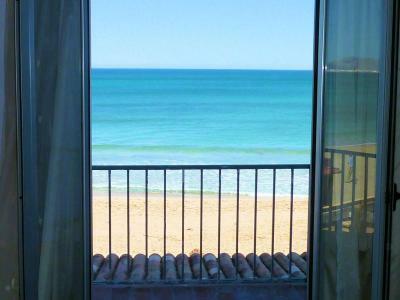 We could lay on our bed and watch the sea, or sit on the balcony and enjoy the view. The room was really clear, they've cleaned it up every day. There is a minibar fridge in the room. It is quite small but we could use it for some small staff, e.g. : coffee. I've read before that someone had problems with the noise, but trust me: If the doors were closed, we could not hear anything!!! Neither from the street neither from the next room. The bed was very comfortable and huge! :) Our breakfast was served downstairs in Nusadua. There is not a huge selection of breakfast dishes and they do not have warm meals for breakfast, but it was quite enough (not just for me but for my husband as well) and tasty. We can definately recommend this hotel to everybody! The hotel is super friendly and clean, the seaview is just amazing! Also Can Picafort is a good choice in Mallorca. 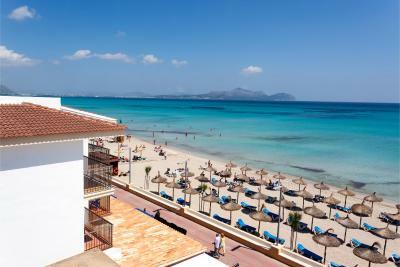 It is not SO full of tourist like Alcudia. The Beach is just right in front of the Hotel. It is very clean even in the high season and we it was not too crowded! 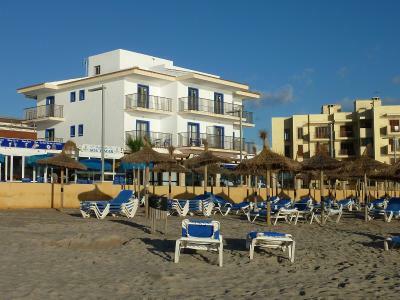 With a short walk on the beach you can reach Playa de Muro as well. There are some very good restaurants in the town! Supermarkets everywhere. :) Once we will go back to Mallorca we will definately choose Sa Roqueta again. Very good location just walking downstairs and u are on the beach. Friendly and helpful staff. Nice and clean room.